This year we have opened up an additional day to include F–Rated films. The F-Rating was introduced by IMDb in an effort to encourage female driven narratives – be that through the writing, or directing of the piece. And for TweetFest, we are also accepting submissions that have strong female leads as part of the F-Rating! 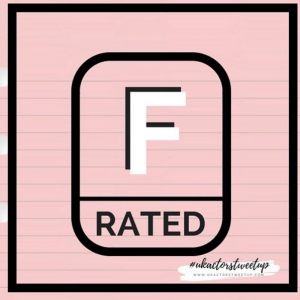 What does the F–Rated stand for? The rating is designed to support and promote women and redress the imbalance in the film industry, and as we are a female led organisation who has been championing female talent for many years now, we hope we can offer even more support as we go. We will still have our usual film festival gala night as well and all films made in the last two years that are 16 minutes and under, are invited and welcome to participate. You can find out more about TweetFest by checking out our official website. Or you can go straight to FilmFreeway and submit your short now. ← We have a Casting Director Claire Bleasdale – right after a BAFTA win!